Isn’t there enough to share? Or is that we just don’t care? ‘Cause you made it this way. One world united, undivided by our different ways. O my hope, answer my prayer with contentment and good. Brighten us, my friends and i,with [the light of] showing respect to one another. Where are you in my dreams? If the world deems them offensive, what do i care? Anything just to be near, To be near. *Special thanks to Dr Walid Al-Fitaihi for the Arabic lyrics. And does a person’s heart find rest except in your rememberance? *Special thanks to Dr. Shihab Ghanem for the Arabic words. O all of my reverie and dreams! 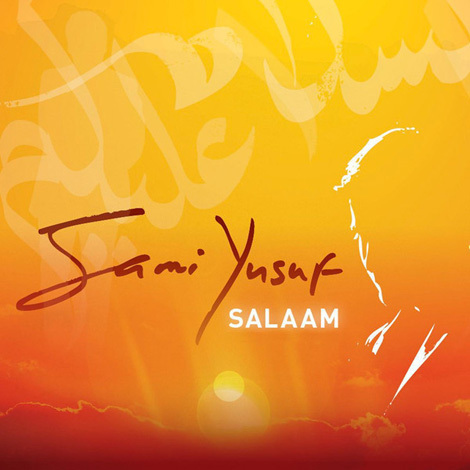 Perennial in essence and a new dawn in form, Sami Yusuf’s fourth studio album, Salaam, is bound to capture the ears of the old and the hearts of the new. Salaam, denoting peace in Arabic or the essential state of man before his Creator, is indicative of both the work’s essence of longing and belonging. Streaming amidst the subtleties of Light as illustrated on the album cover, the music reminds one of the experience of undying peace in an encounter with one’s Ultimate Source. The many shades that form these subtleties are themselves a reflection of the wide-ranging sounds of Salaam. The album content ranges from the solo Arabic vocals of Ala Bi Dhikrika to the upbeat tunes of It’s a Game. The English rendition of Azeri classics like ‘Kucelere Su Sapmisham’ in To Guide You Home accompanied by the traditional Persian tar, and a surprise duet in the soulful Drier Land with the legendary singer-songwriter, poet, composer and master musician, Ustadh Babak Radmanesh, are bound to stun listeners of all musical walks.